There are more than 2,500 players who have have been listed on NFL rosters this season and no state has produced more of those players than California. 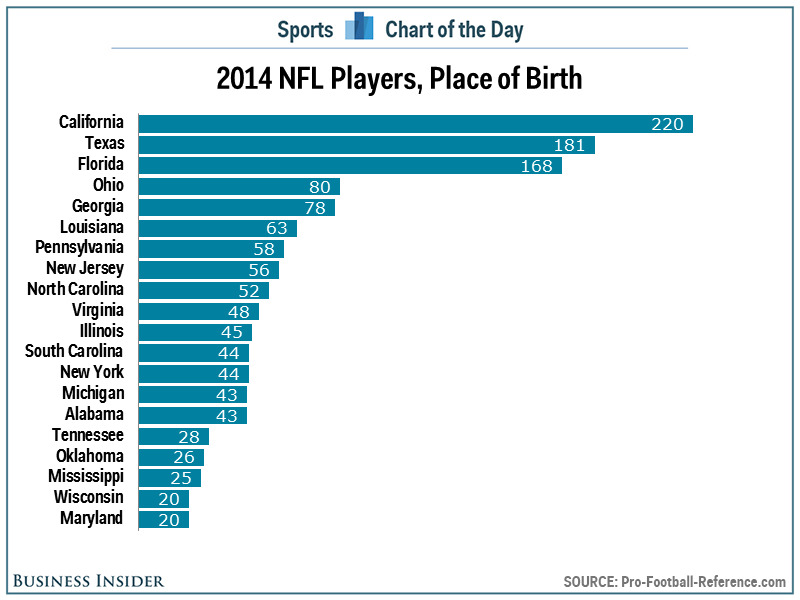 Of players listed as active NFL players Pro-Football-Reference.com, 220 were born in California. 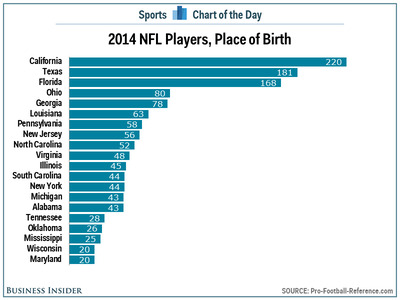 Texas (181) and Florida (168) are the only other states with more than 80 active NFL players. Of course, California (no. 1), Texas (no. 2), and Florida (no. 4) rank as three of the four most populated states. The two biggest surprises on the list would be Louisiana (25th in population) and South Carolina (24th).